The Prince Edward Island Legislature excluded women from the franchise. For a time, there were regions in British North America where some women could vote; however, just as in Prince Edward Island, statutes were passed to disqualify women in places such as the Province of Canada and Nova Scotia. Officials in New Brunswick passed a law restricting the right to vote to men. Previously, the province’s 1795 electoral legislation had allowed “persons” meeting certain qualifications to vote. There is evidence that some women voted in New Brunswick prior to the 1843 legislation. The Franchise Act disenfranchised women by adding the word male to voting requirements. There had been no specific restrictions on women’s right to vote since Nova Scotia had been granted a General Assembly in 1758. An attempt to secure the municipal vote for widowed and unmarried women property holders failed. The legislation included the possibility of serving on school boards. When the vote came to a tie, the speaker broke it in favour of the anti-franchisers. Another attempt to get the municipal vote was passed in 1887, though school board service was revoked. After receiving several petitions from town and city councils and small groups of women, the New Brunswick legislature passed a bill that granted the municipal franchise to unmarried women who met the property requirements applied to men. Some 50 members of the Woman’s Christian Temperance Union presented petitions at the St. John’s Colonial Building. The signatures, requesting the municipal franchise, had been collected across the island. The petitions were met with scorn. Though the House of Assembly held two debates, the measure was defeated each time. The New Brunswick Women’s Enfranchisement Association was established in Saint John. It emerged from a small society seeking to become a branch of the Dominion Women’s Enfranchisement Association. Wanting to form connections outside the region, the WEA voted to send a member to the National Council of Women convention in Ottawa. The Halifax Suffrage Association (HSA) was established with Anna Leonowens, an author and feminist, as its first president. Leonowens would become one the region’s most visible leaders in the women’s rights movement. The HSA leadership included Eliza Ritchie, who was Nova Scotia’s first female professor, and community leader Charlotte McNeill. The Association for the Advancement of Women, an American women’s rights organization, held its convention in Saint John. In an ironic twist, noted American suffragist Julia Ward Howe stayed at the home of NB Chief Justice William Tuck, who didn’t believe women should be permitted in the public sphere. The Ladies’ Reading Room and Current Events Club was established. Members had been banned from attending not only lectures at the local men’s club, but its suffrage debates. The Ladies’ Club drew women from all classes, politicizing them by providing information about the suffrage movement via international newspapers and journals. The New Brunswick Women’s Equality Association hosted a public talk by famous British suffragette Sylvia Pankhurst at the Saint John Opera House. Pankhurst spoke of the power of strategic militancy. Local suffragist and social reformer Emma Skinner, a leading voice for the Women’s Enfranchisement Association, shared the stage with Pankhurst. The Nova Scotia Equal Franchise League held its first, and last, annual meeting. Both women and men joined the league, which provided information for any group interested. The Halifax Explosion of December 1917 so impacted its membership that the League decided its resources were better used in aiding the victims. Nova Scotia women won the rights to vote and to hold provincial office. New Brunswick women won the right to vote but not to hold provincial office. 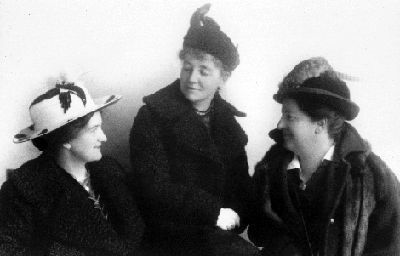 Newfoundland suffragists delivered a petition requesting the general franchise for women to the island’s legislature. The petition had 1,700 signatures, and a bill was introduced to move forward on its demand. Later in the year the Liberal government, under Sir Richard Squires, rejected the bill by way of a party vote. Prince Edward Island women won the rights to vote and to hold provincial office. Women over 25 years of age gained the right to vote and to stand for political office in Newfoundland and Labrador. Helena Squires became the first woman elected to the Newfoundland and Labrador House of Assembly. New Brunswick women won the right to hold provincial office. Gladys Porter became the first woman elected to the Nova Scotia legislature. Status Indians in New Brunswick were granted the right to vote in provincial elections. Brenda Robertson became the first woman elected to the New Brunswick legislature. Jean Canfield became the first woman elected to the Prince Edward Island legislature. 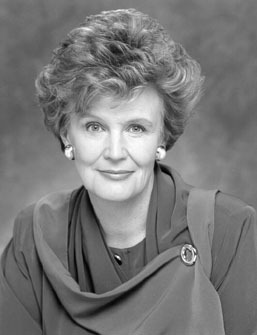 Catherine Callbeck was the first woman to be elected premier when she won the election in Prince Edward Island. Following the retirement of Premier Danny Williams, Kathy Dunderdale was appointed interim leader of the Progressive Conservative Party and became Newfoundland and Labrador’s first female premier.